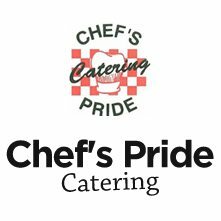 Stations $50.00 China – Chef's Pride Catering, Inc.
Price $50.00 per guest with a minimum guarantee of 100 guests. Price $55.00 per guest with a minimum guarantee of 75 guests. Price $60.00 per guest with a minimum guarantee of 50 guests. Please note: We only handle are China….no rentals….no exceptions. If you are interested in securing your event a $800.00 Non-Refundable Deposit will be required in order to secure the date. Deposits are deducted off final billing.